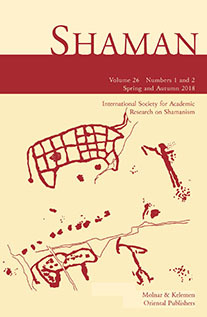 Using legends, epics and oral histories culled from fieldwork in the Sakha Republic, this essay reviews cases of significant Tungus (Even and Evenki) -Yakut (Sakha) interaction, and mutual Tungusic-Sakha shamanic influences. Written in honor of Mihály Hoppál’s work on Inner Asia, it contributes to general arguments concerning the “impure” and complex legacies of cultural traditions, and to specific discussions of the multiple roles of Tungus-Manchurian and Turkic peoples in the history of Asia. Symbols and signs, myths and archetypes are used crossculturally to express the ineffable and we know that archetypes, for example, rise from the unconscious culturally conditioned. This leads to situations where symbolic expressions may be interpreted differently in different cultures. When we, in folklore, use symbolic languages, we should be warned to ascertain how we will be understood crossculturally. I selected the archetype of the “serpent” to demonstrate that an archetype can opens new doors of perception in completely different ways. This article is based on original data collected by the authors among Laotian Hmong hilltribes people in refugee camps in Thailand 1988-89 and among Hmong villagers in Laos. An introduction summarizes historical sources on the Hmong who after centuries of rebellion against oppression by Imperial Chinese authorities migrated to Southeast Asia in the 19th century, and their involvement in the civil wars of Indochina after World War II which eventually led to a mass exodus of Laotian Hmong to Thailand where the authors encountered them in refugee camps. Described are the therapeutic and spiritual practices of shamans among the Hmong people who tenaciously adhered to their ancient culture also in the refugee camps; their origin myth of shamanic healing and their traditions of supernatural powers determining health, illness and death; traditional indications for, and types of, shamanic intervention; the calling and qualification of shamanic practitioners and the paraphernalia they use. Further reported are the personal stories of a shaman and a shamaness, and a pioneering venture of integrating shamanic ritual in modern drug addiction treatment. Summarized are reports of historical messianic movements among the Hmong that motivated their resistance to oppression in the past, showing the inspiring role played by shamanic prophet leaders with visionary revelations of the imminent coming of a mythic Hmong Redeemer. The most recent messianic movement among the Laotian Hmong is presented: a clandestine cult movement under charismatic shamanic leaders with prophesies of ethnic redemption; its militant units welded together by sacred vows and secret magic rituals, communicating through an “ancient” script taught by Hmong priest-teachers at syncretistic Hmong temples in the refugee camps. This shamanic-inspired Hmong movement is paradigmatic of the universal phenomenon of messianic-millenarian movements of oppressed indigenous peoples. The article is illustrated with photographs by the authors.